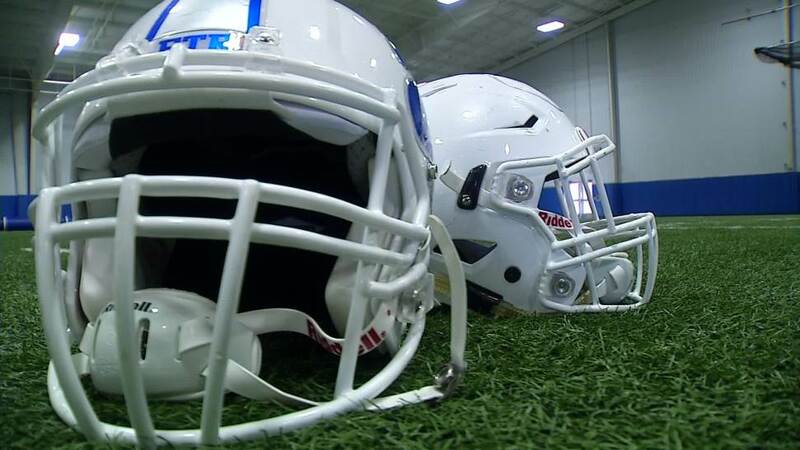 Texas is moving closer to a statewide system to track concussions in high school sports. In November, NBC 5 Investigates revealed records showing more than 25-hundred concussions in North Texas high school and junior high school sports during the 2014-15 school year. The records came from 41 North Texas School Districts. Since then, The University Interscholastic League which runs Texas school sports has held a number of meetings with medical experts to work on a new system to track concussions. And Brewer High School in White Settlement, is showing exactly how better concussion data can make a huge difference in protecting kids. "If you’re going to fix the problem, you have to have good data," said White Settlement ISD athletic director and head coach at Brewer, Wade Griffin. For Griffin, data means more than counting touchdowns and tackles. "You have to know how many concussions are happening. You have to know if you’re making a positive change or not," said Griffin. In 2014 Coach Griffin took over the Brewer Bears. Before his arrival, during the 2013-14 school year, the school reported more than three-dozen concussions. Griffin said that had to change for his players and the sport he loves. "We have to do it to save our game. And we have to make sure people aren’t afraid to play and parents aren’t afraid to watch this game," said Griffin. Griffin bought new football helmets for the players and his coaches started checking them weekly for proper fit. They also taught new tackling techniques using rugby dummies that help players measure how high or low they are tackling. They changed practice and conditioning routines after data showed players were sometimes getting hurt making bad tackles when they were out of position. The results have been dramatic. Two years ago, the football team had 39 concussions. The following season the number came down to one. This last football season, the team only had two concussions. The state would have never known Brewer High had a problem with concussions. As NBC 5 Investigates reported last fall the state does not require all schools to report concussions for all sports. When asked if he was concerned about the state’s sample not showing the full picture of the severity of the problem, UIL Assistant Director Jamey Harrison said the UIL is "worried that we need to do more in the area of data collection. But that doesn't mean we have found a solution yet." NBC 5 Investigates filed a request with 41 DFW area school districts last summer and found 2,591 concussions in high school and middle school sports. More than 1000 of those were in high school football. Now the UIL tells NBC 5 Investigates "UIL staff has had several meetings and is working towards a new injury reporting system." One of those meetings was with UT Southwestern in Dallas. The hospital just launched one of the nation’s first programs to track concussion in kids, CON-TEX. CON-TEX is a collaborative effort among UT Southwestern, Children’s Health Children’s Medical Center Dallas, Texas Scottish Rite Hospital for Children, University of Texas in Dallas, and Texas Health Resources Ben Hogan Sports Clinics. "There’s so much we don’t know, but it has to start with good data collection to find out what is the frequency, how often this injury is happening," said Dr. Munro Cullum, UT Professor of Psychiatry and Neurology and principal investigator of CON-TEX. CON-TEX hopes that system will become part of the UIL’s plan for school sports. "We would love to fast forward this and maybe get something started in the next one to two years," said Dr. Cullum. Back at Brewer High School, reducing concussions wasn’t the only victory this season. The team made the playoffs for the first time in 11 years. When asked what he would say to other coaches looking to bring their numbers down. "Just make it a priority and find what works best for you," said Coach Griffin. " You might have to change some of the ways you look at the game." Doctors at UT Southwestern tell NBC 5 Investigates UIL has agreed to encourage schools to participate in CON-TEX and that could be part of the start of a more statewide system. The project aims to do more than just prevent concussions. Data may also show them the better ways to help kids recover from concussions. If you have any questions about the data, please email investigative producer, Eva Parks at eva.parks@nbcuni.com This chart shows the number of concussions reported by each school district in response to an open records request. This summer, NBC 5 Investigates made requests of 41 school districts in the Dallas/Fort Worth area asking them to provide the number of concussions the recorded in the 2014-2015 school year broken down by school, grade and sport. Records were collected from July 28 to September 9 and complied to make a searchable database. Some school districts provided more detailed information than others than others. For example Plano ISD and Northwest ISD only provided the number of concussions but not a breakdown by sport. Grand Prairie ISD, Ennis ISD and Cleburne ISD did not respond to our records request. Please note, while one school district may have reported more concussions than another, the information in the chart does not provide a comparison of concussion rates among various school districts. Some districts have more schools/teams than others, and participation rates in different sports may vary widely. In order to fairly compare concussion rates one would also need the number of athletes participating in each sport in each district. This chart contains only the raw number of concussions reported by each district.